Red deer on a ranch in New Zealand. The cow is far from the only animal to be raised for its milk; goats and sheep are obvious ones, but yak, camel, donkey, and other mammals have always been dairy makers, too. 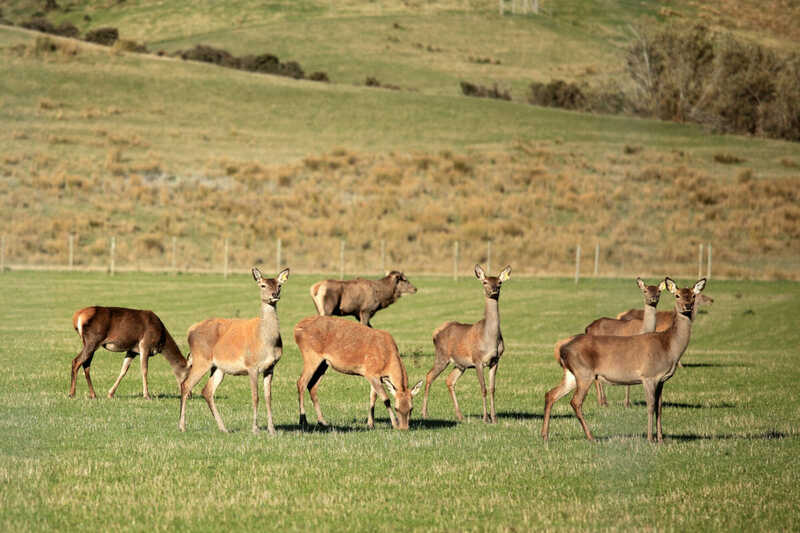 New Zealand company PÄmu, previously and less enticingly known as Landcorp, is a state-owned agribusiness, and it’s bringing a new product to our pantries: deer milk. The specific deer they’re milking is the red deer, a very large species native to western Europe and introduced to New Zealand in the late 19th century as a new, fun animal for hunters to hunt. It’s not the only member of the ruminant family to be milked, as reindeer milk was common in Scandinavia until the 20th century, and moose milk is still produced in Russia today. Though deer are common in much of the world, they’re typically not milked for a few reasons: for one thing, they don’t produce large quantities of the liquid, and for another, many countries, including the U.S., don’t consume much venison, and so the animals have never been domesticated in large numbers. Milk from these animals is quite different from cow milk; it’s much lower in sugar, and much higher in fat and protein. PÄmu is the first company to commercially raise red deer for milk, which they’re drying into a powder, to be reconstituted later. The company has an 80-head herd deer, each of which produces a couple hundred liters of milk per season. In contrast, a dairy cow is typically artificially inseminated to keep it producing milk year-round, and produces on average over 8,700 liters of milk in a year. Because of the low production rates of red deer, and because there’s only the one place milking them, prices are expected to be quite high. The company won the Fieldays Grassroots Established award – it’s a pretty big agribusiness event – has been supplying deer milk to local restaurants to build buzz.